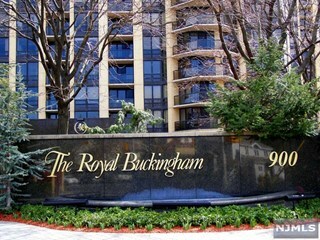 Royal Buckingham: Built in 1994, this 24 story, luxury, pet-friendly condominium is made of 183 residences which are large 1, 2, 3 bedroom residences as well as 2 and 3 bedroom duplexes on floors 21 through 24. 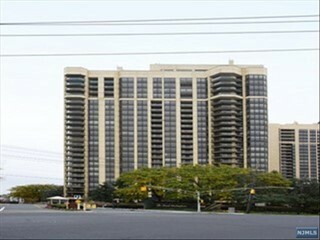 Along with The Buckingham, Winston Towers and The Carlyle, It sits on the site of what was Palisades Amusement Park. The building lobby is luxurious and peaceful with its waterfall element. All residences have terraces and washers/dryers and many have wet bars. Rooms and closets are spacious. The exotic woodwork, and finishes, its soothing lobby waterfall, the elegant brass paneled elevators and impressive floor plans offering exquisite spacious and stylized residences to make each resident feel as a pampered guest in a 5 star resort. 1 bedroom and 1 ½ bath residences start at 1,365 square feet up to an amazing 1,509 square feet of space with a separate terrace. 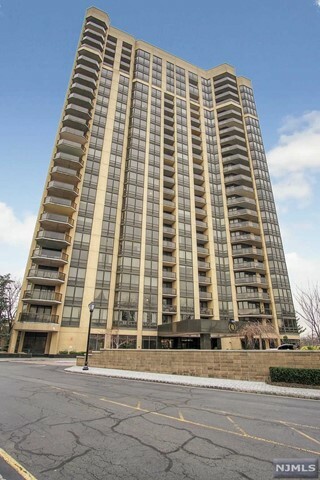 2 bedroom penthouses range in size up to 2,700+ square feet. 3 bedroom are huge; from 2,720 to 3,395 square feet. 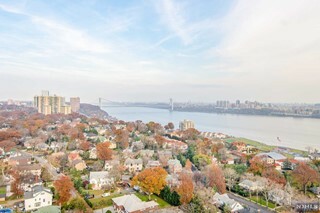 3 bedroom penthouses (some with 3 ½ baths) and 2 fireplaces range from 3,480 to an amazing 4,410 square feet plus a 410 square foot terrace. Finishes on these units are impressive and like a lot of the older condominiums in the area, many have been completely gutted and renovated. 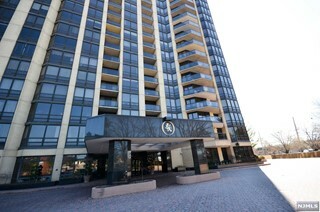 24-hour concierge and parking services are provided. The services offered in the community include The Sky Club, rooftop fitness center and pool as well as community room, a distinctive and elegant lobby with concierge and valet parking service, a children’s playroom and an on-site management office. Residents enjoy access to The Palisdium Health and Fitness Center on the property. It contains an indoor Olympic size pool, spa, gym, jogging track, a full and vibrant gym with classes, children's care and and more. 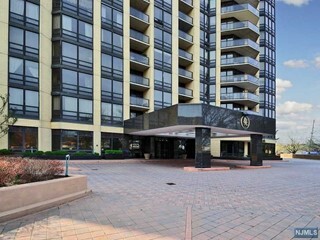 The complex is just 2 miles from the entrance to the George Washington Bridge and the entrance to 1-80 and Rt.4 and mall shopping in Hackensack and Paramus. The 156 and 159 New Jersey Transit buses are across the street. Free shuttle bus service is provided by the town of Fort Lee to the Edgewater Ferry that runs between 6:30am to 10:30 am weekdays.